This item is currently available to back order. If you would like more information, or have a question about this product? Please do not hesitate to get in touch today. 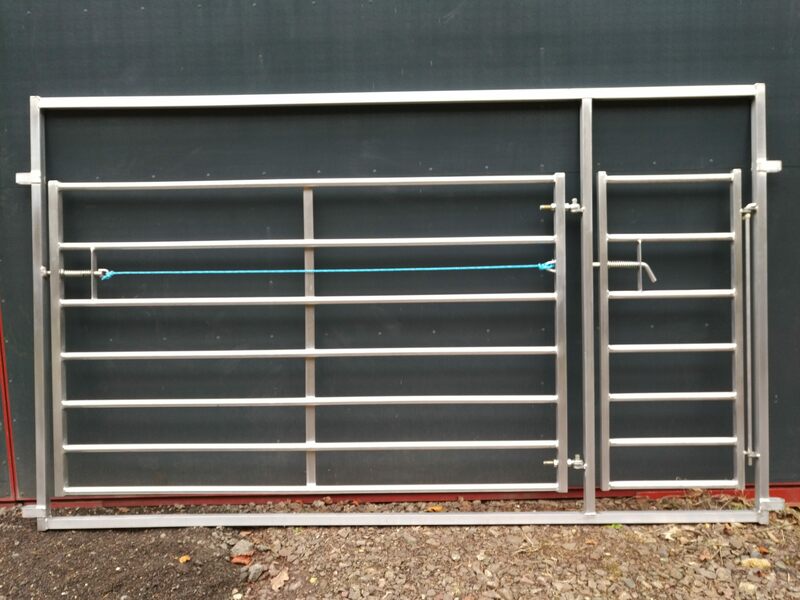 This gate and frame assembly will fit to the hurdles and make up a stand-alone handling system of your choice, with the Easy-Pen fitted to the opening gate. All with our own unique locking system which allows the hurdles to be easily erected but they will not separate inadvertently whilst in use. © 2017 Marshwood Alpacas Ltd.